Hello neptune22 and welcome to the Community. Veranda ll 52” fan as seen below. 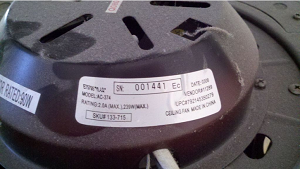 Try to find the model number and serial number, they are usually located on the motor. Then contact Hampton bay with that information and they will help you find a light kit for your fan. Good one... Are there any other different designs available?